Stickers of all kinds for your vehicle. 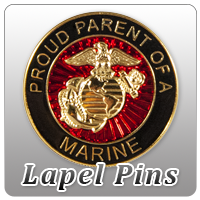 The classic way to show your spirit?-The Marine Corps motto prouldy on your bumper or window! Let everyone know your support of the Always Faithful with this bright, sturdy bumper sticker!